You May Not Know It But You May Be Burning Money? It Protects your customers, you, your business and your property. Don't keep throwing money away or burning money as we say in the fire protection business. What is it? It's fire protection. Its a fire extinguisher which has been properly serviced and maintained. Some people think that the fire department provides fire extinguishers. If you have a business you know you have to invest in your own fire extinguishers or kitchen fire suppression and service. If you run a church you also know this. If you have a daycare you also know this. What may not know is that almost all fire protection companies provide the essentially same service and types fire extinguishers. The real difference is the price that the company charges. You may be asking yourself why does one company charge so much more than others. I don't know the answer to that you will have to ask our competition. But, if you want to know how we charge less I will tell you. We charge less because we provide more than one service. We provide fire extinguisher service, emergency and exit light service, kitchen fire suppression service and hood and duct cleaning. Providing all of these services helps us to avoid putting all of our eggs in one basket. And through buying in bulk we can charge less for top quality parts and fire extinguishers. Don't Keep Burning Money. Use the savings to grow your business or for whatever you need it for. You deserve great Fire Protection service and to be treated fairly. That's where we come in. We love what we do. We know that everyday fires happen. So we provide affordable Fire Extinguisher Service, New Fire Extinguishers, Restaurant Kitchen System Service, and Hood and Duct Cleaning. 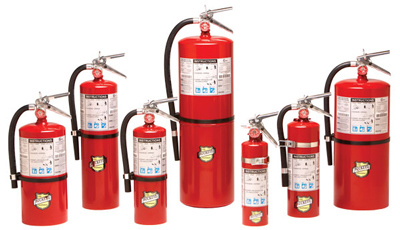 We also provide fire extinguishers for homes, cars, apartments, etc. If you have a business why throw your money away or burn money? We provide the exact same service for up to 40% OFF. Call us today 205-588-0800 or visit us on the web at http://fescousa.com Call For A Quote, Prices vary according to service and sales requirements Fire Extinguisher inspections starting at $45 depending on quantity of fire extinguishers.